St. Croix County is the western Wisconsin county located closest to the Minnesota population and business center of Minneapolis-St. Paul. The scenic St. Croix River forms the state border on the county’s western side, and the Wisconsin side of the river is a beautiful mix of rolling farm land and lakes and woods, with Interstate 94 running east-west through the center. This provides an easy commute to the Twin Cities, or a nice access to points to the east in Wisconsin like Menomonie, Eau Claire and beyond. 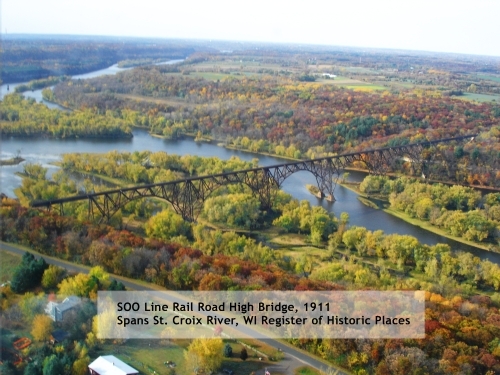 Read on to learn more about the area and the houses for sale St. Croix County WI has to offer. St. Croix County has three communities with populations of 10,000 or more: River Falls, Hudson and New Richmond. River Falls is also home to the University of Wisconsin-River Falls. New Richmond has a two-year campus called Wisconsin Indianhead Technical College. The county also has many other communities with vibrant downtowns and industrial parks. Quality health care is never more than thirty minutes away. Southern St. Croix County has traditionally been a dairy farm area, but it is increasingly becoming known as a quality outdoor sport region, home to exciting hunting and fishing opportunities. St. Croix County has experienced great economic and population growth in the last two decades, and the opportunities still abound to find your next home. If you wish to explore our houses for sale St. Croix County WI has to offer, and this beautiful part of Wisconsin, check the Applegate listings often! St. Croix County is becoming a popular place to call home. The Interstate 94 corridor has developed into a strong commuter housing area for people who work in the Twin Cities but want their children to attend a small-town school. We update our list of homes for sale frequently so check back often for the most up-to-date listings. Contact an experienced St. Croix County real estate agent to know more about the area and will be happy to show you any properties of interest. Not ready to buy a home? Don’t worry! 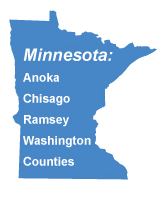 There are many homes and apartment for rent in St. Croix County WI. Check our listings often for the most updated information and let us know which ones you’d like to see. Real estate in St. Croix County is a great investment, but being a landlord isn’t for everyone. Our property management services will handle finding and communicating with renters as well as tasks such as property upkeep and snow removal so you don’t have to. The historical significance of St. Croix County is due to the St. Croix River, whose value has been used by the area inhabitants for centuries. Native Americans valued the river, much as it continues to be valued by those living near it today. The county’s location as the Wisconsin connection between all that is Wisconsin and the Minneapolis-St. Paul area also made it flourish as a home for communities and business. The quality infrastructure which includes an Interstate Highway, airports, and major bridges has allowed St. Croix County to be a vibrant area both in the past and into the future. 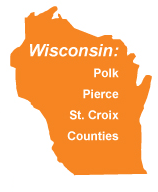 St. Croix County is home to top rated public schools of various sizes, as well as two and four year college campuses. Information on schools is available from the Wisconsin DPI website, or most schools have their own websites providing their own information. St. Croix County has easy access to all of the activities of the Twin Cities metropolitan area, while also being home to a wide variety of musical, theatrical, wine-tasting, hunting, fishing, and boating opportunities. Read any of our other city pages within the area to learn more about what houses for sale St. Croix County WI offers or contact a St. Croix County WI real estate agent today.